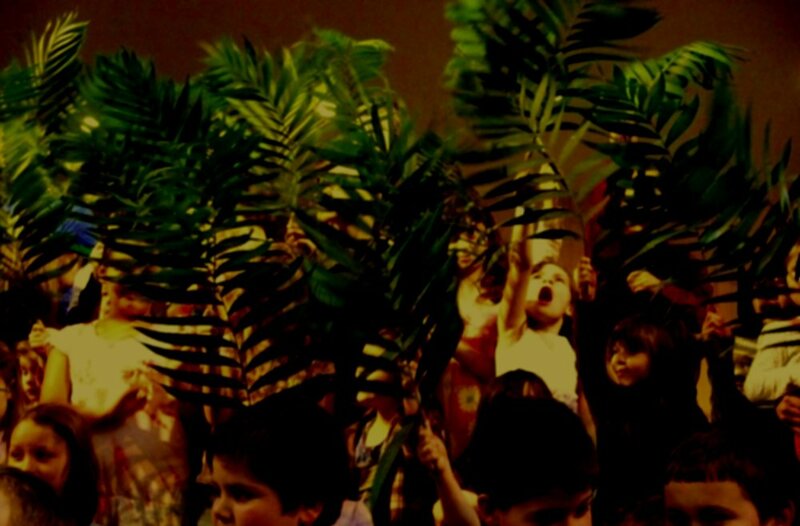 This Sunday Debbie will have palm fronds, and some of our kids will help lead them into some of the more physical experiences of worship. Jesus’ triumphal entry was the embodied and exuberant worship of his people, adults and kids. People threw their coats, waved palms and lifted their voices to shout and cry out, both pleading for and celebrating the arrival of the Lord’s salvation. All four gospel writers give special attention to Jesus’ entry into Jerusalem. Only Matthew specifies the children’s involvement, but the crowds walked before and behind Jesus in the procession/parade into Jerusalem, while children cried out all the way into the temple. Matt. 21:9 "And the crowds that went before him and that followed him were shouting, “Hosanna to the Son of David! Blessed is he who comes in the name of the Lord! Hosanna in the highest!”...21:15 But when the chief priests and the scribes saw the wonderful things that he did, and the children crying out in the temple, “Hosanna to the Son of David!” they were indignant,…"
This Sunday our kids will wave palms as they process to the front of the sanctuary for our call to worship.